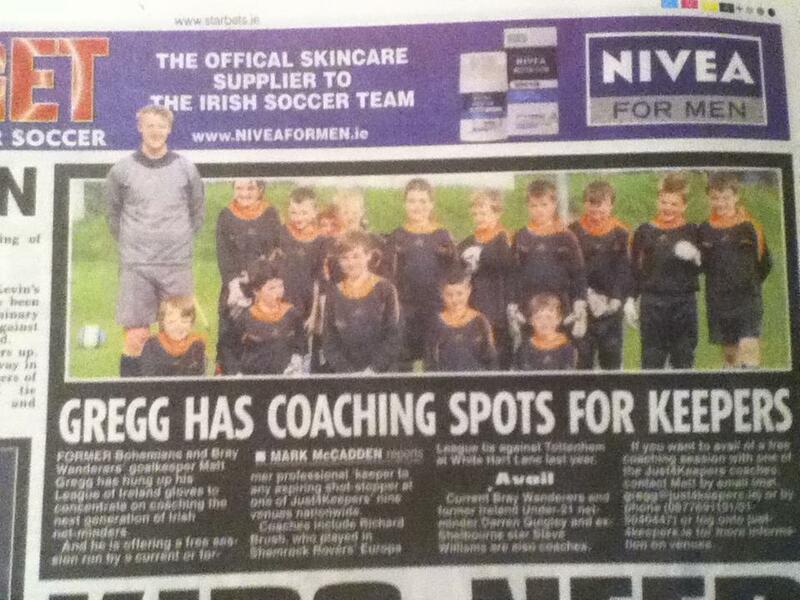 Matt Gregg (pictured with his students at his DCU Venue) Coaches over 150 Keepers a week in Dublin, with another 300 Keepers gaining coaching throughout the rest of the Country. 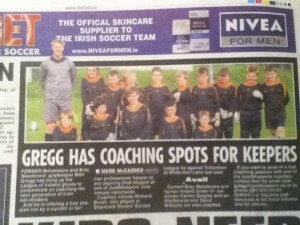 Matt wants to give EVERY YOUNG KEEPER a chance to try Goalkeeper Coaching in Ireland for FREE, as a young Keeper Matt never received specialist Goalkeer coaching and feels this held him back from playing at an even higher level than he did (matt played over 300 professional appearances). So now every young Keeper can receive free Goalkeeper coaching in Dublin and free Goalkeeper training in Dublin and also wear FREE Just4Keepers Goalkeeper Gloves.